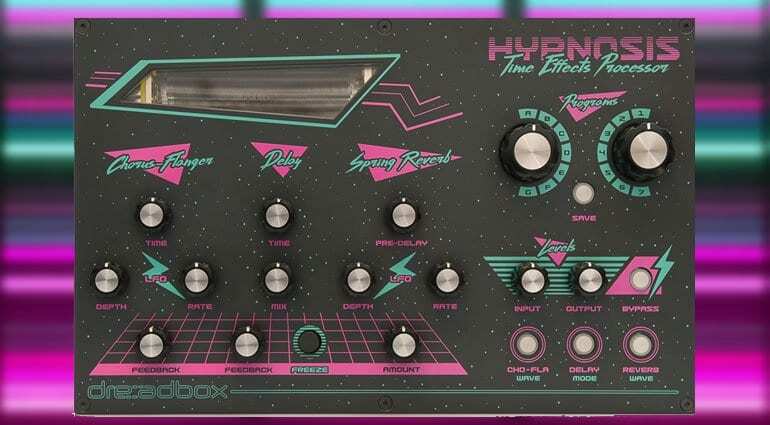 The fabulously styled Hypnosis from Dreadbox is an eighties-tastic time-based desktop effects processor in pink and green neon. Need I say more? 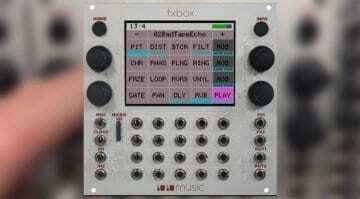 It’s telling me that this is definitely the most awesome desktop effects processor anyone has ever seen. Well, at least it looks pretty groovy. 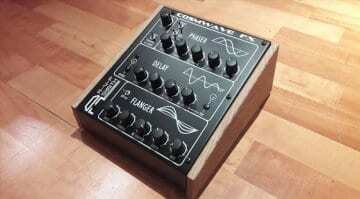 It’s a time-based effects processor featuring a Chorus/Flanger, Delay and Spring Reverb. There’s control over the LFO of the Chorus/Flanger and perhaps more unusually there’s an LFO for the Spring Reverb too, along with pre-delay. 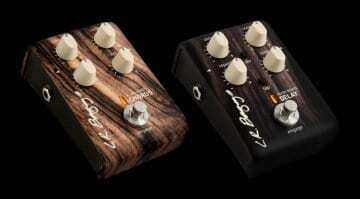 The Chorus/Flanger is stereo analog BBD with 3 LFO waveforms. 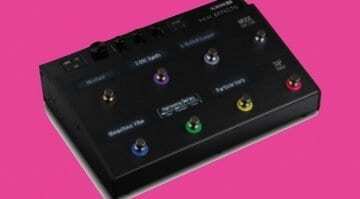 The Stereo Digital Delay has 3 delay types and a Freeze function for capturing the buffer and messing about with that. The Spring Reverb is there bathed in pink neon behind glass at the top that glows in response to the input signal. It can handle levels from microphone to Euroack and would look fabulous on anyone’s desktop. Hypnosis should be available in the summer for €499.